Elvira Navarro won the Community of Madrid’s Young Writers Award in 2004. Her first book, La ciudad en invierno (The City in Winter), published in 2007, was well received by the critics, and her second, La ciudad feliz (The Happy City, Hispabooks, 2013) was given the twenty-fifth Jaén Fiction Award and the fourth Tormenta Award for best new author, as well as being selected as one of the books of the year by Culturas, the arts and culture supplement of the Spanish newspaper Público. 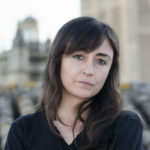 Granta magazine also named her one of their top twenty-two Spanish writers under the age of thirty-five. She contributes to cultural magazines such as El Mundo newspaper’s El Cultural, to Ínsula, Letras Libres, Quimera, Turia, and Calle 20, and to the newspapers Público and El País. She writes literary reviews for Qué Leer and contributions for the blog “La tormenta en un vaso.” She also teaches creative writing. Globally acclaimed as a meticulous explorer of the psyche’s most obscure alleyways, Elvira Navarro here delivers an ambitious tale of feminine friendship, madness, a radically changing city, and the vulnerability that makes us divulge our most shameful secrets. It begins as Elisa transcribes the chaotic testimony of her roommate Susana, acting as part-therapist, part-confessor as Susana reveals a gripping account of her strange sexual urges, and the one man who can satisfy them. But is Susana telling the truth? And what to make of Elisa’s own strange account of her difficult relationship with Susana, which blends her literary ambitions with her deep need for catharsis? Is this a true account of Elisa’s life, or is it the follow-up to her first novel that she has long been wanting to write? In one final surprise, A Working Woman concludes with a curious epilogue that makes us question everything we have just read. 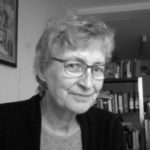 With her penchant for finding the freakish side of the everyday, her precisely timed, mordant sentences, and her powerful, innovative style, A Working Woman confirms Elvira Navarro as “the subtle, almost hidden, true avant-gardist of her generation” (Enrique Vila-Matas, El País). 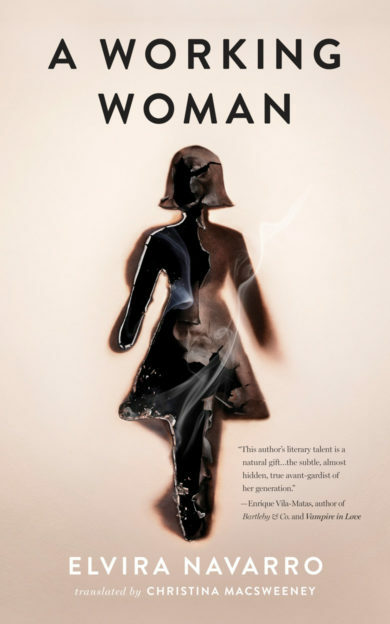 A Working Woman masterfully uncovers the insecurity lurking just beneath the surface of every stable life, even as it points the way toward new concepts of what the novel can be. Except for the occasional weekend away, I usually left the apartment at night, which meant my encounters with the guys from the truck became almost routine. I continued to haunt the old prison, which had become a forest of rubble, a steep forest through which cockroaches scurried, and emitted a false glow at night—what in fact glimmered on the rubble were the lights from the Avenida de los Poblados. But it was as if those Dantesque fragments had light bulbs within them. I’d scramble through a hole in the wire fence and stay there quietly for a long time. I had the feeling that place was armor-plated, that it was enduring. The floodlights that had once picked out the shadows of the prisoners had been dismantled, and I didn’t dare explore the ruins for fear of falling. So I walked around them. Fear didn’t catch me; if large suburban parks like the Casa de Campo were being abandoned, with even the criminals going to ­places where they could get their hands on something more than hard carob beans and verbena petals, what was so different about that awkward heap of rubble? Before they pulled down the prison, I’d discovered that some of the cells—hardly much larger than six feet by four, and in which you couldn’t take two turns without feeling dizzy—were occupied. They had posted a security guard so the panopticon didn’t end up as a Romany village, but at night they turned a blind eye to a few solitary down-and-outs. In the occupied cells, I found the belongings of their nocturnal lodgers; everything had been extracted from dumpsters, which made the sight of overcoats and blankets on spindly hangers ­rather paradoxical. Before, I had gone to the prison with a girlfriend who was making recordings of the silence in the center of the penitentiary. If my friend had been with me now, it would have been impossible for her not to register the sounds of that deformed urban skeleton and its creaky joints. But, back then it was as if we were in a tomb, with the crypts blocking out the hum of traffic. And now she would also have been able to record the guys from the truck, whom I’d seen stop by the wire fence one day, negotiate the gap, and snoop around with strong flashlights. They didn’t see me. I was a long way away, quietly hunched down out of sight: there was a candy wrapper on the ground at my feet, and I could hear the chirping of insects. The third night I saw them playing daredevils on rotten planks; I realized they were looking for something that wasn’t cardboard. My discovery shouldn’t have been surprising, but then I know nothing of the criminal underworld. What I did know was certain materials were being stolen for resale on the black market. Copper ­mostly. Yet it didn’t ring true for me that, after years of standing empty, there would be anything of any value left in the prison. I don’t know exactly what they were pilfering, but expected to see them carrying long, sharpened sticks, weapons. I felt the need to stand up, and as I did brushed against some piece of corrugated iron that fell with a loud clang. The five Romanies turned, and shone their flashlights in my direction; my knees were shaking slightly, and although I very much wanted to hunch down again, I couldn’t even manage to breathe. They stood very still, making sweeps with their lights. The only things behind me were wire fencing, trees, and darkness. “Who’s there?” they shouted, followed by, “If you don’t get out of here, I’ll slash you.” Another one of them answered, “It’s a cat or something, dumbass. Let’s go.” The following day a number of front loaders turned up and cleared the area. What was left looked like a morass of gritty sand. I went back one last night, without being able to find the center of the lot, because I suddenly felt vulnerable, with too much city on either side to the horizon. I stayed close to the wire fence with its geometric design, and further on, to those weightless pincers that emerged from the darkness in the park. That night, I made my way home with a clear head, following a new route. I amused myself by zigzagging left and right, sometimes taking long detours because I liked going along unknown streets. I’m not sure just when I found myself in a stretch of neighborhood I knew.